Last weekend, Mom and I made the joyful trek up to Yarnover. 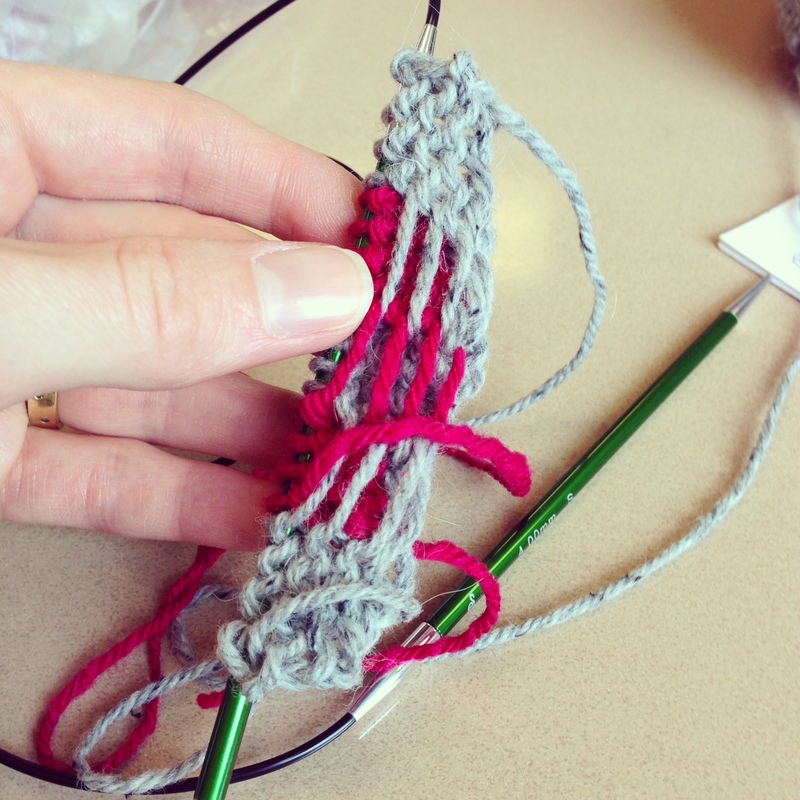 We took a Fearless Two Color Mittens Class from Mary Scott Huff. Mary started out the class with a simple exercise in stranded color work for those who needed a review or for those (like me) who had never tried it at all. The “fearless” aspect of this class was definitely for me. I took this class so I could conquer my personal “Dr. Strangelove” in knitting (i.e., “How I learned to stop worrying love the [fill in knitting-related fear]”). Mary’s a live wire and very entertaining. Here’s my first attempt at Norwegian stranded color work. A few rows later, I learned why it’s so important to keep your floats loose. This sucker was puckered. 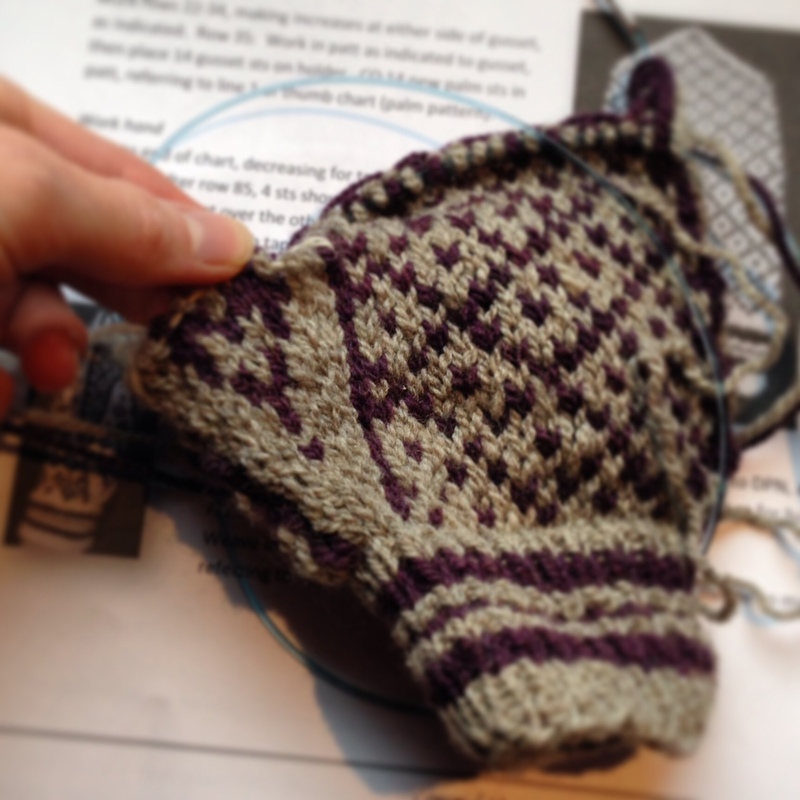 I made it about halfway through the mitten when I finally had to acknowledge that I was knitting WAY too loosely. In my effort to keep my floats loose I was knitting everything like rubber-girl. So I ripped back. 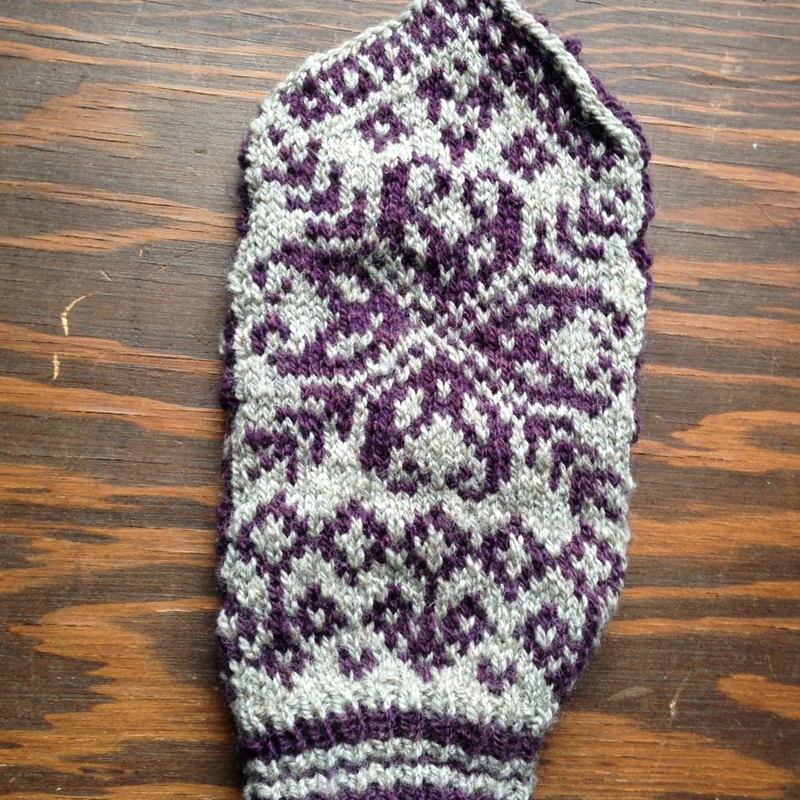 Mitten #1, minus the thumb. It fits. Huzzah! We took a break at lunch to wolf down some food and chat with friends from my local knitting group. 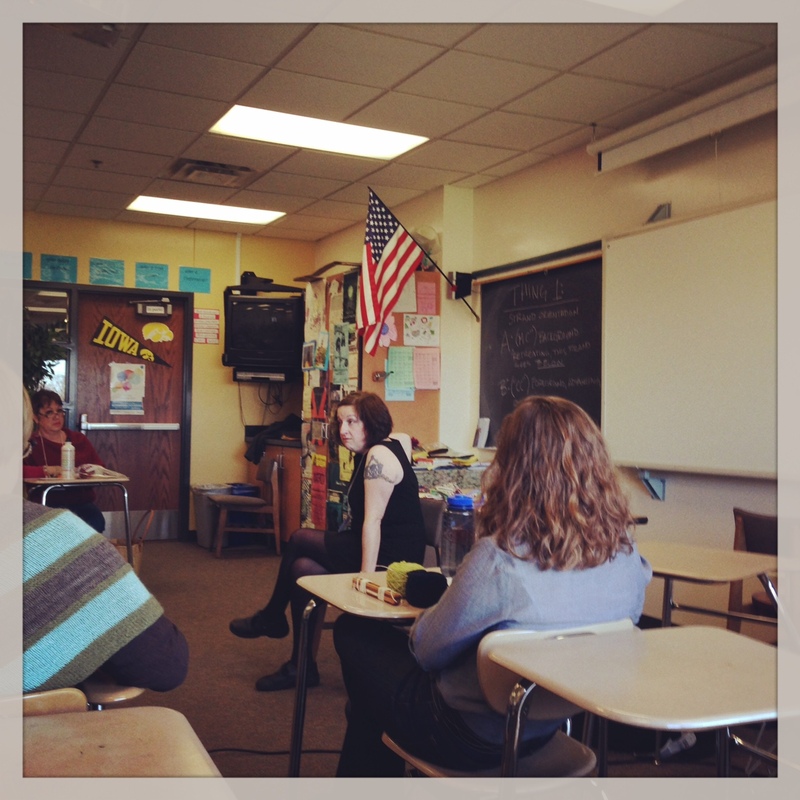 Everyone talked about their morning classes and the classes they were planning to take in the afternoon. I found myself wishing I could undergo a few rounds of cellular mitosis right then and there so that I could take everyone else’s classes as well as my own. 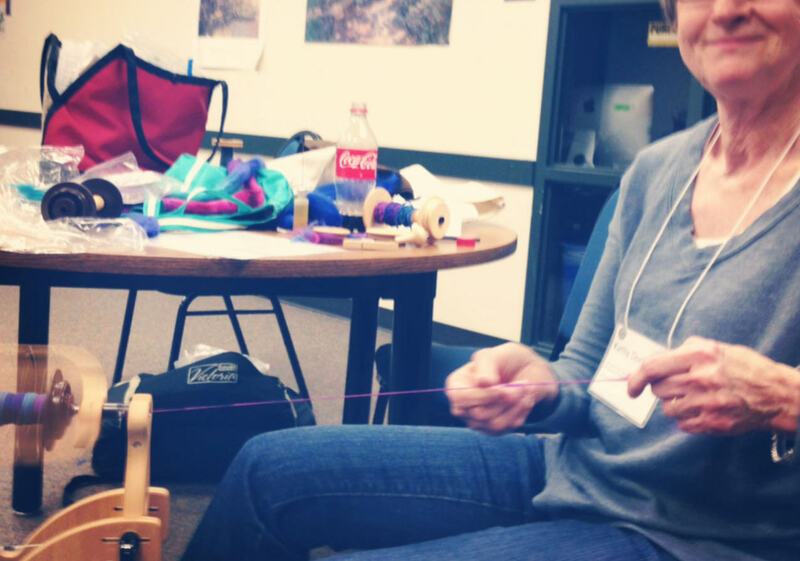 In the afternoon, Mom and I also took a Spinning and Plying Cabled Yarns class with Francine Ruiter. My first-time results were semi-successful. 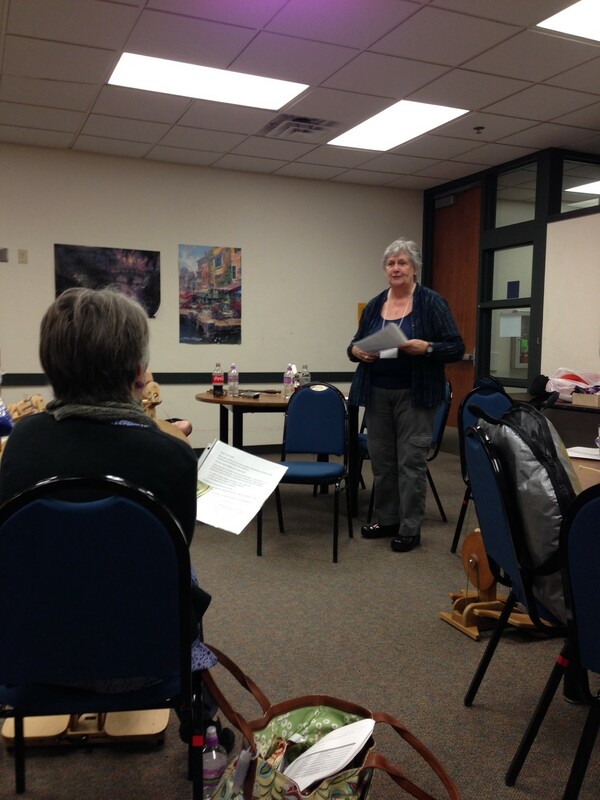 Francine getting things started. We’re all itching to spin. 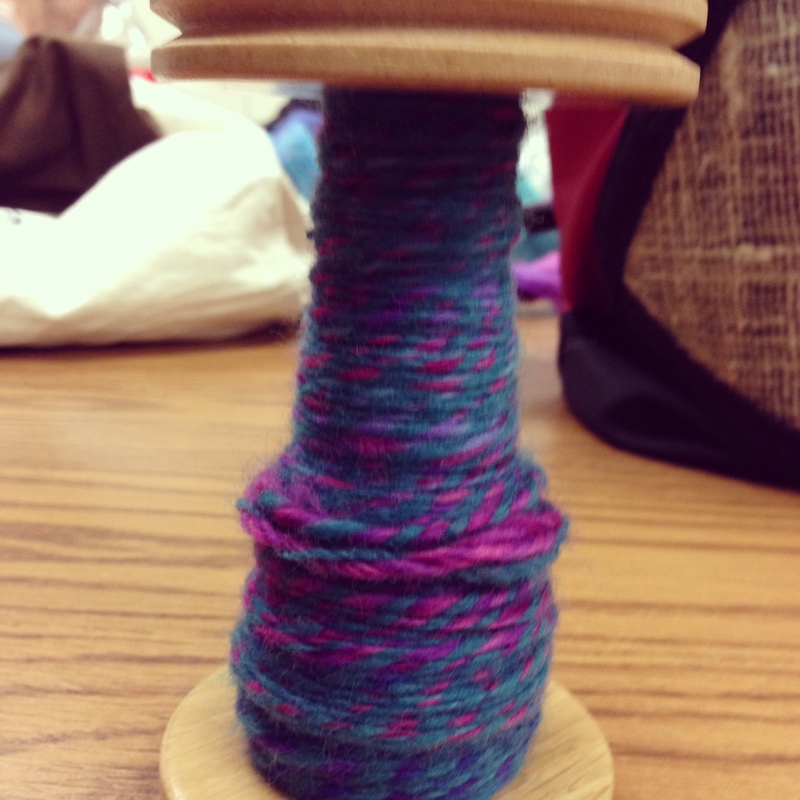 My cabled yarn on the bobbin. Mom working on her singles. She’s internet-shy, so you only get to see her cute smile. My cabled yarn finished. If you look closely, there are certain sections of it that seem to have the visual characteristics of a cabled yarn. But not all. Sigh. Must practice. I left Yarnover feeling jazzed about the new techniques I’d learned, particularly the Norwegian stranded color work. I think my Ravelry favorites are about to be flooded with color work projects. I just started trying the Fair Isle knitting. I also had issues with carrying the floats. After studying some videos and all I think I finally have it but I take time when dealing with the float. I had holes when I would carry but on one video she said that she only prefers to carry every four stitches. It is working really good and I will post a picture when I am done. That looks fantastic for a first-time stranded project! 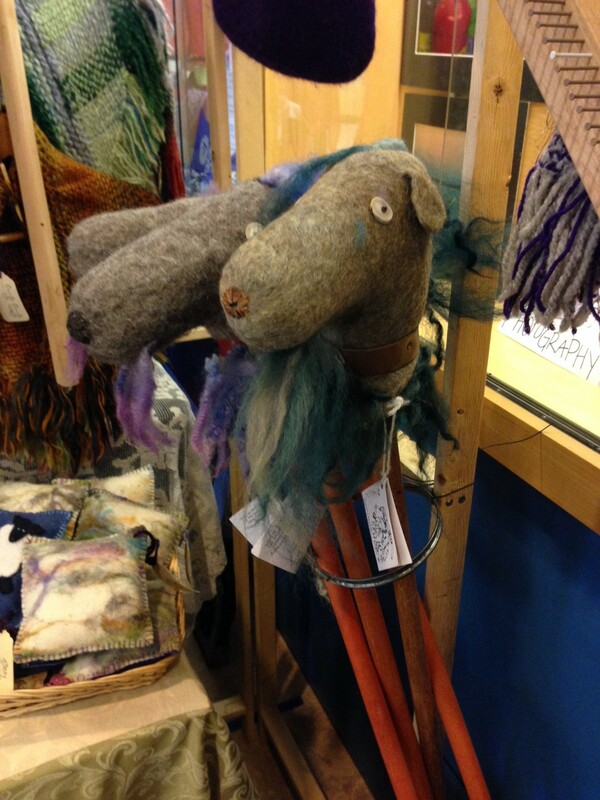 Your mittie looks great! You must be a fast knitter- it’d take me ages to get that far along. 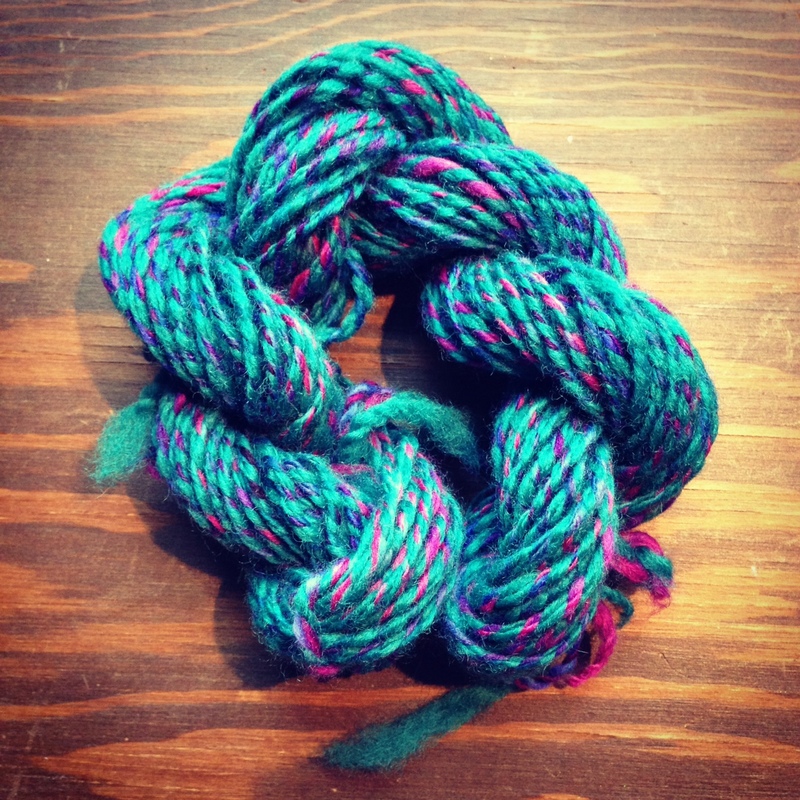 Your spinning looks great! Love those bright colors- any plans for it? I have found making sure the left side is spread out while you knit it helps create good floats. Stranded colourwork mittens are one of my most favourite things to knit. They are so addicting and, with practice, not too difficult. Your practice mittens look great! Hurrah for overcoming Fear Of Colorwork! Very impressive first project, too. Nice work!